So I don’t know what to make of all of this. 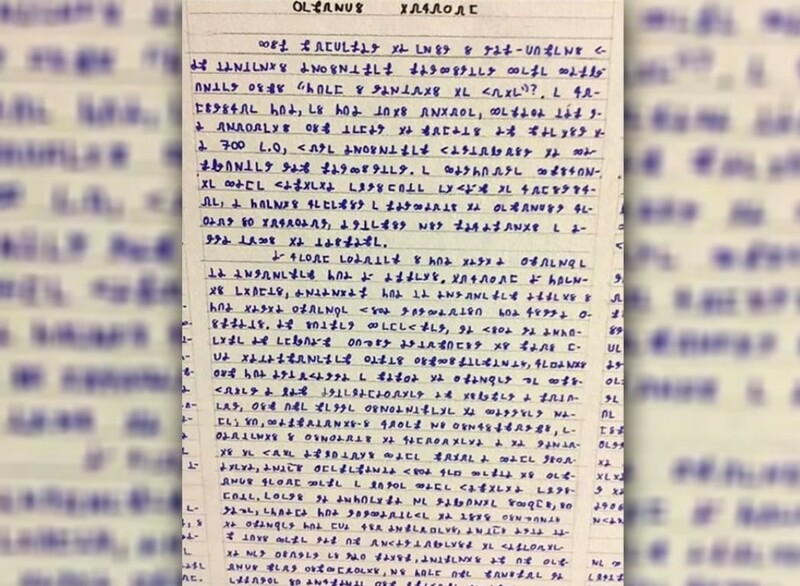 If this story is real and not a hoax then keep in mind the comments made above. You will just have to discern what is really going on here. This is a culmination of a few articles. Here is the original article from Imgur. 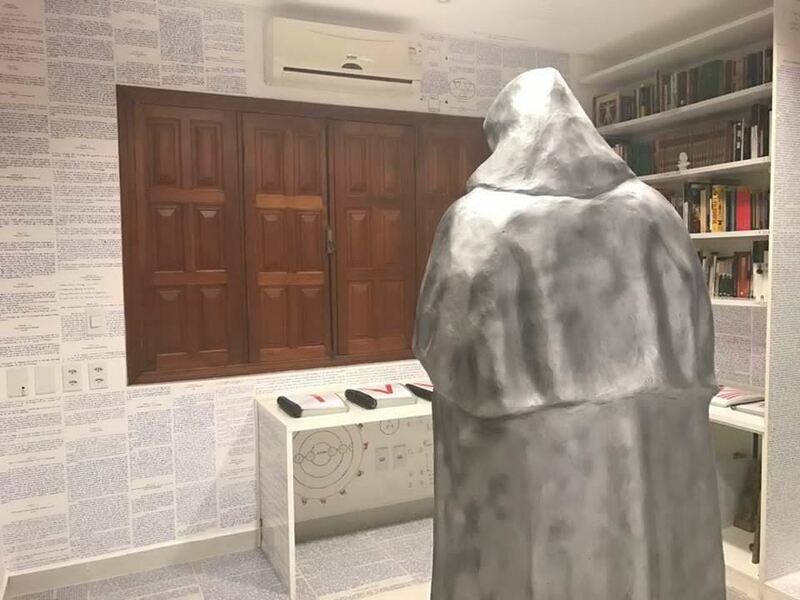 After keeping his room locked for a month, Bruno Borges disappears and leaves it full of encrypted language and symbols all over the walls, along with 14 handwritten books (encrypted as well) and a statue of Giordano Bruno, italian Dominican philosopher worth approximately $2500 (R$7.000). The books were impecable in symmetry and aligning. 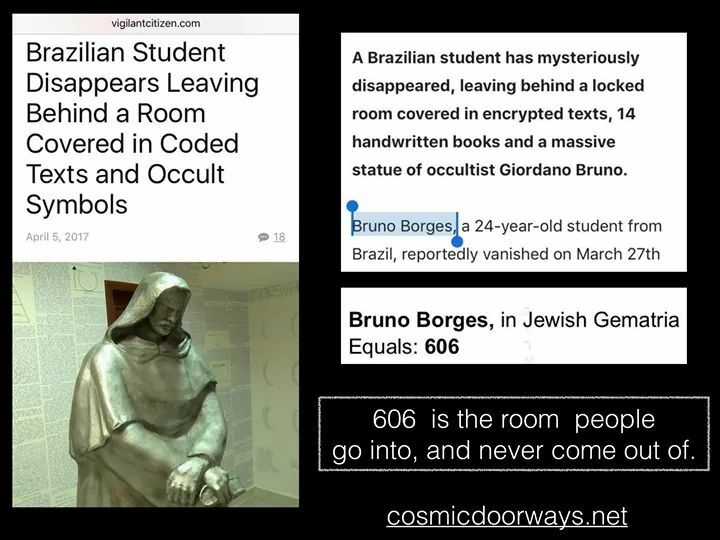 His family didn’t know about the statue, he was alone when it was delivered. It stands on a symbol that resembles Fullmetal Alchemist transmutation circle. He was constantly asking people to invest in a project he had without telling them what it was all about. He just told his mother he was writing 14 books that would change humanity in a good way. 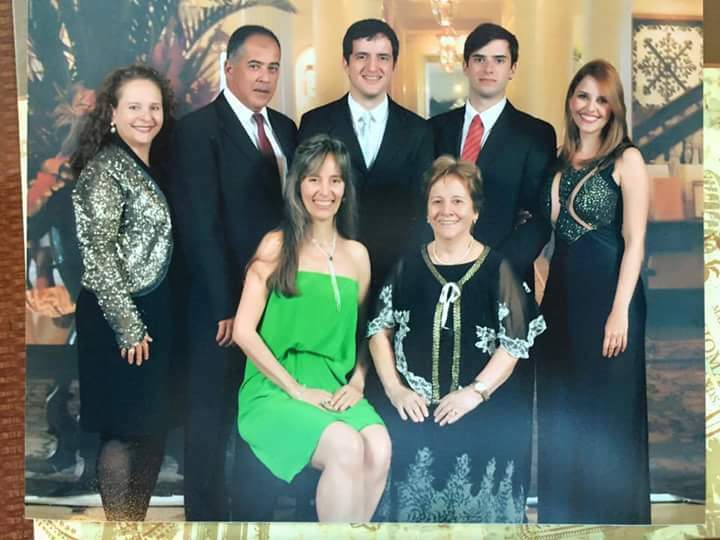 After getting $6500 (R$20.000) from his cousin, he was able to finish his project. 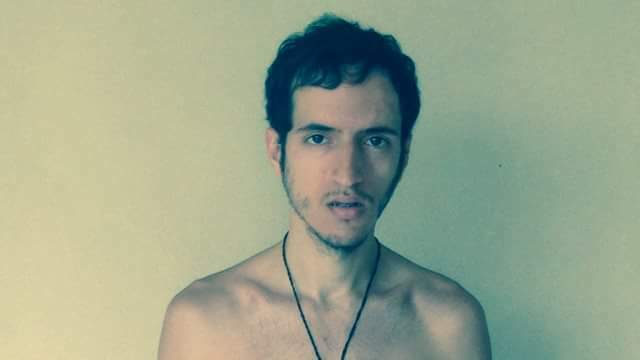 He disappeared last monday, 27. 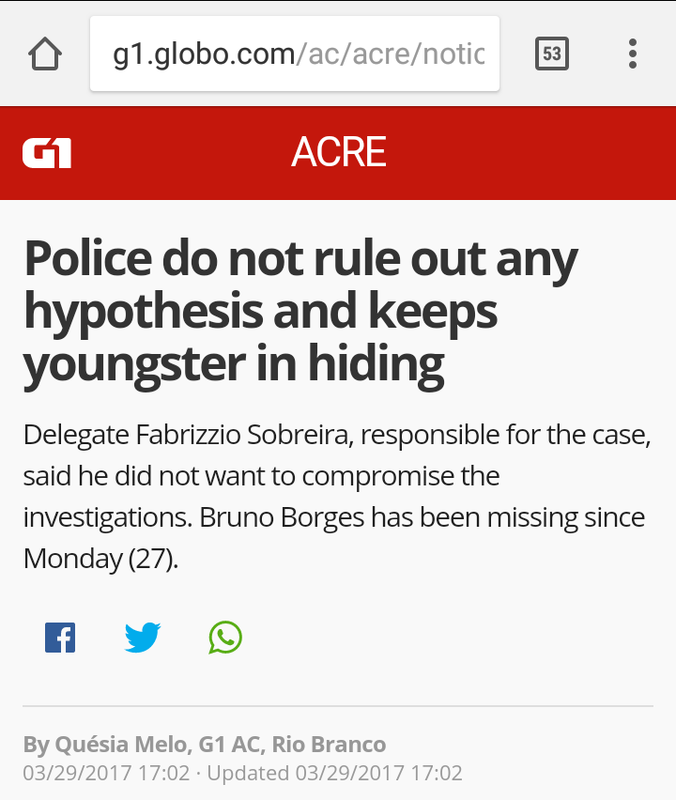 Now here is the news report from a Brazilian news site in Portuguese. These were screenshots since I wasn’t able to copy and paste it. So how were is this? 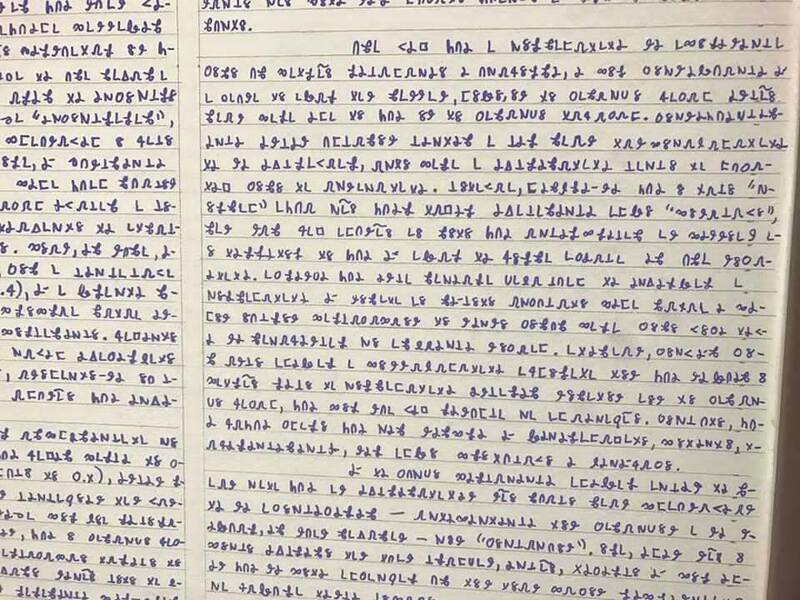 This 24 year old guy writes these 14 coded encrypted books, is full on a practicing Alchemist who tells his mother that he is writing something that would change humanity for the good and has vanished from thin air. 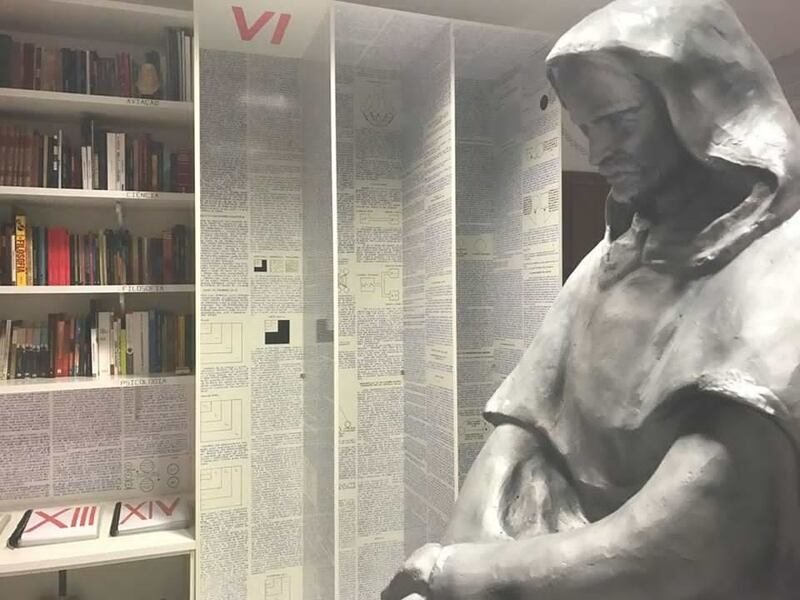 One theory off of the internet is that this dudes alchemy went wrong and it turned him into this statue of Giordano Bruno. No kidding…that’s what some actually believe. Some just believe it’s a hoax and it’s all made up. While some think it is publicity for a movie. 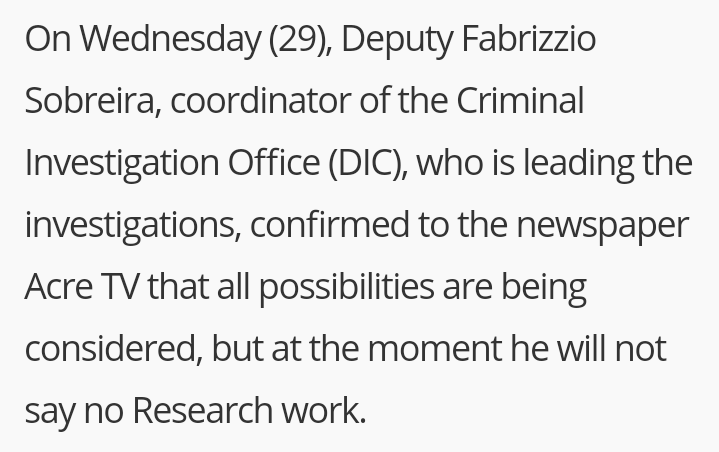 Here is an alleged message that has been ciphered…allegedly. For millions of years the human being have been trying to find answers to questions like “what’s the meaning of life”? Philosophy, as it seems, appears to have originated from Thales of Miletus mid 700 a.C., seeks to find traces of questions without answers. The profound research for absolute truth comes from philosophy, and when we speak about easy or difficult paths we are referring to this kind of theorem. It is easy to accept what you have been taught since childhood was wrong. The hard part is, when you are an adult, to understand that you were taught wrong what you thought was right since childhood. In other words, if you fit in someplace where the stimuli of the environment determined to you a certain behavior, making it at mercy of beliefs already provided and well established in dogmas and rituals, with a concentrated mass of people on them; or allowing you to conform, accepting the concept of happiness and the meaning of life embedded by media and society, then clearly you are part of the easy path to the search of absolute truth. If you by any chance fits the second option, meaning, the one who suspected of all the series of beliefs that were rooted into you, then this has everything to be an investigator of truth of the things around you, going through a more complicated path, on which a minority risks with bravery. 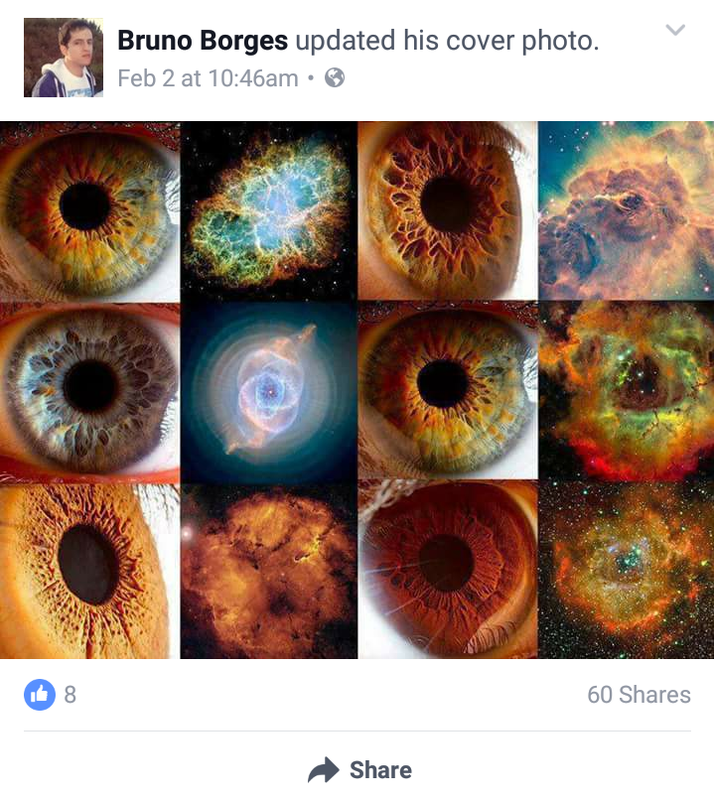 He had a Fb page that was started on February 2nd, 2 months before his disappearence. Is it real or fake. I don’t know. I do know if its real than its really strange. You be the judge. I’ll leave you with a few comments from Reddit. 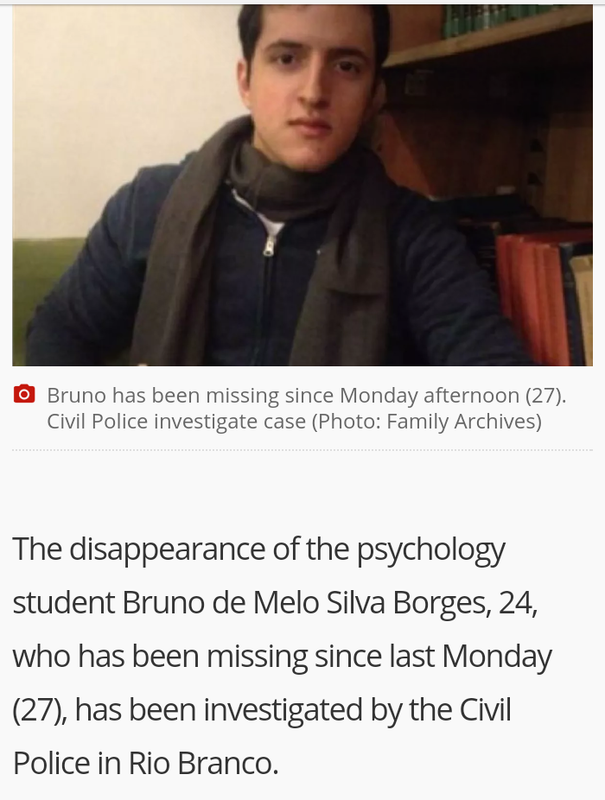 Bruno Borges was last seen by his family during lunch time that same monday. His bedroom has been locked for the past month. 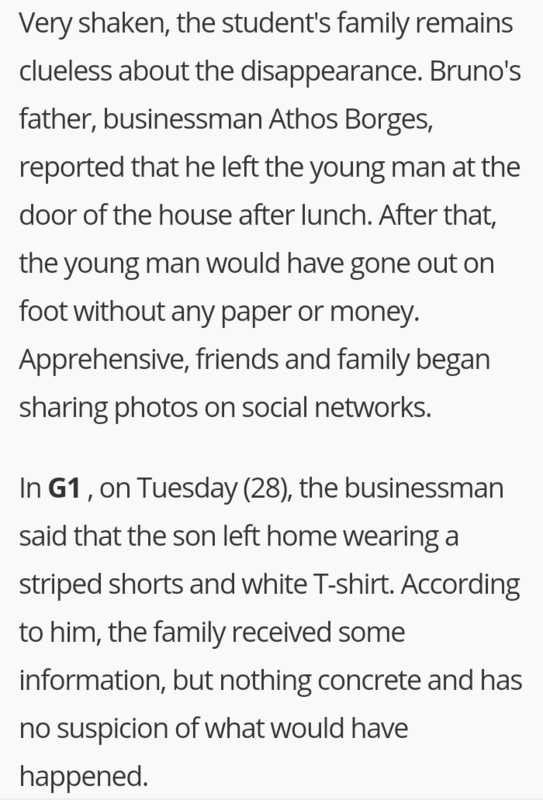 Apparently his parents went on a trip and after that his siblings said he started keeping his room locked. He was a very intelligent young man. His mom states that she was a bit worried because he would read too much. She says he wouldn’t stop reading, often very advanced book and has read the Bible and all of Shakespeare’s work. His mom says he told her he was working on a project and asked for money. She said she would give him, but he would have to tell her what it was. He said it was a secret, so she said no. He also asked her to let him stop working, so he could do his project and she, after consulting with a doctor, says OK. Later she discovered he got R$20000 (about U$6000) from a cousin. He told his mom he was writing 14 books that would change humanity in a good way. Before that he had already written 5 books, he tried to patent one of them but couldn’t. 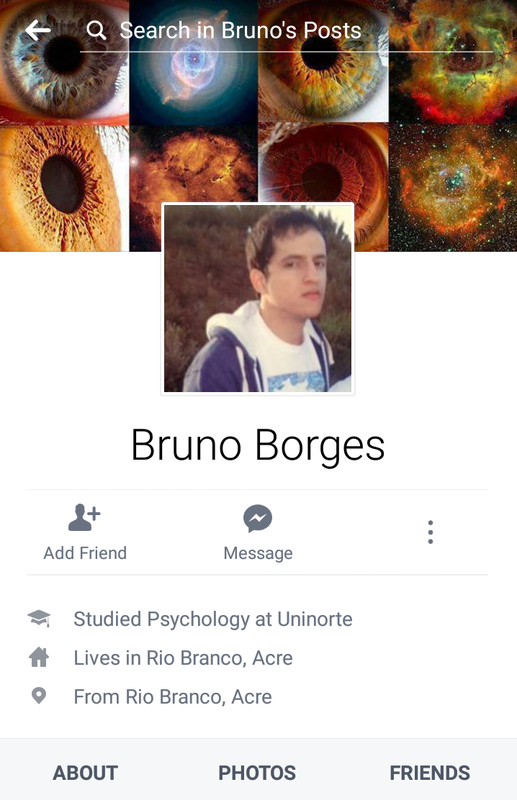 His mom said he never had any psychological issues and if she had seen what he was doing in his room, she would be terrified and ask for help. 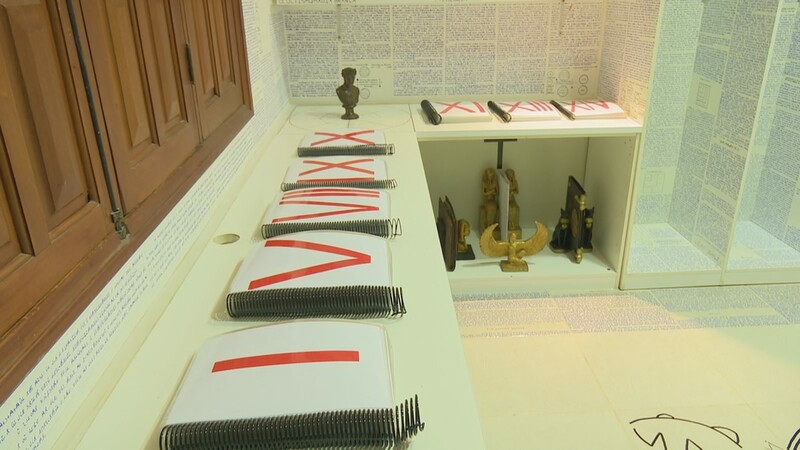 They are looking for somebody to decrypt the books and the police is investigating the case. 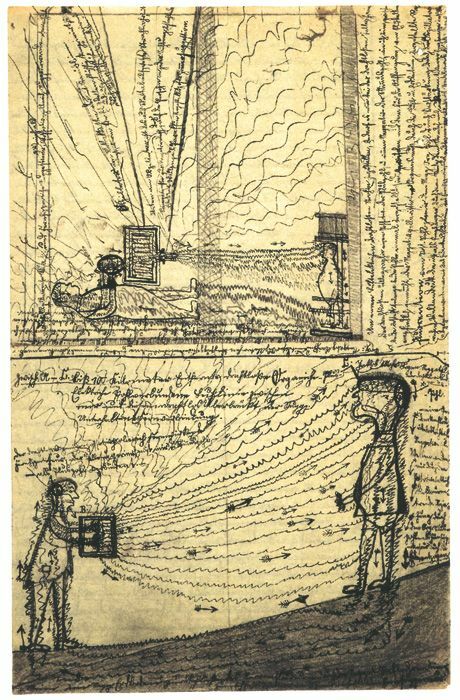 From what I can see the diagrams seem to relate to various ideas in new age thought and esoteric conspiracism. There are scientific or pseudo-scientific diagrams that look like they might be sound related, perhaps referring in some way to the first ‘vibration’ from which the cosmos was created. The triangular diagram might be a ‘pyramid of initiation’ which is how some conspiracists view the ‘elite’ power structure. 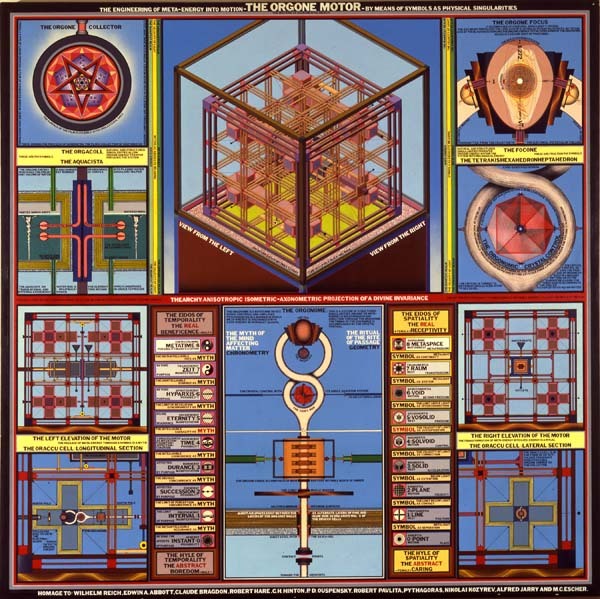 The most identifiable diagram however depicts Metatron’s Cube which is a concept in ‘sacred geometry’; the cube is essentially a way of drawing projections of the platonic solids from a pattern of interlaced tesselated circles called the ‘flower of life’, which relates to the idea of the universe being created from a single source. This would fit in with the aliens stuff. 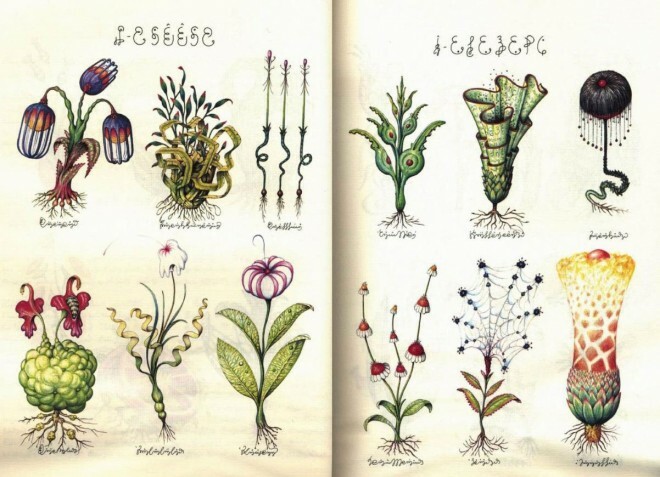 The script bears some resemblances to that of the Codex Seraphinianus, though I have checked my copy and it is not lifted wholesale. 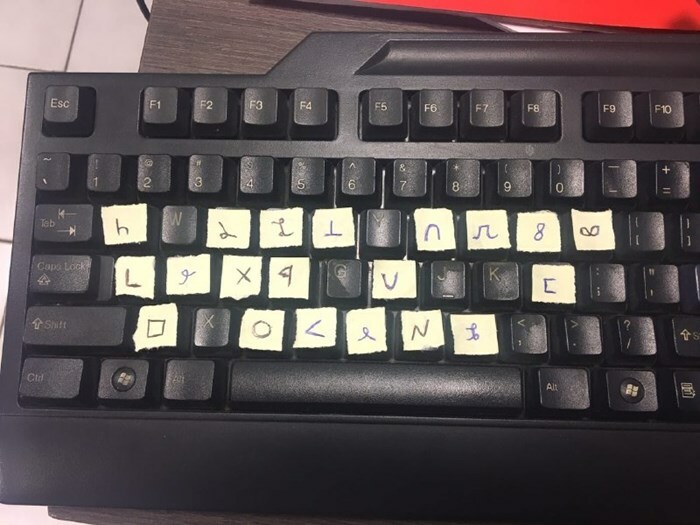 Parts also resemble latin letters (obviously) and various common codes like the pigpen code. 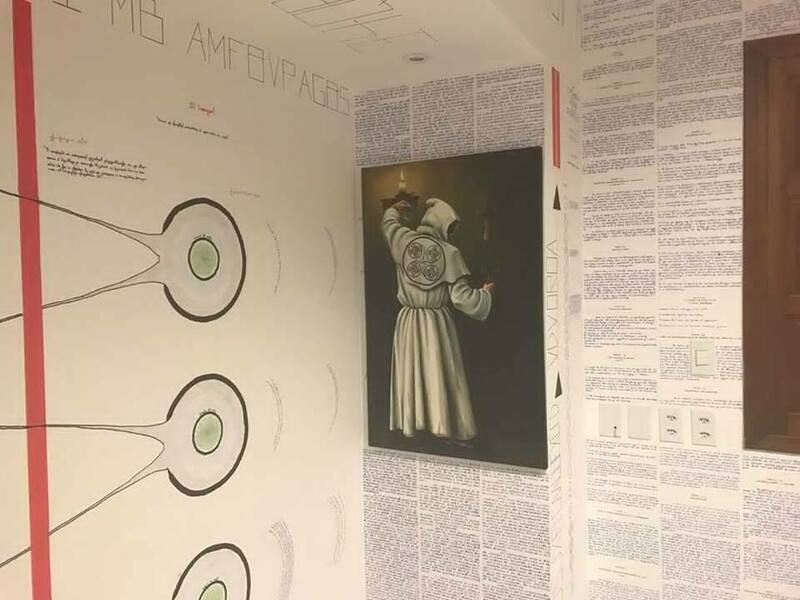 Some care has been taken to create a mostly unified aesthetic, which is quite spartan and clean, allowing for a fairly clinical presentation of an overwhelming volume of information. Special furniture has been constructed within the room to display these items. These do not seem to be actions characteristic of schizophrenia; it is possible that he paid for them to be made, but he must then at least have had a plan, measurements and so on. 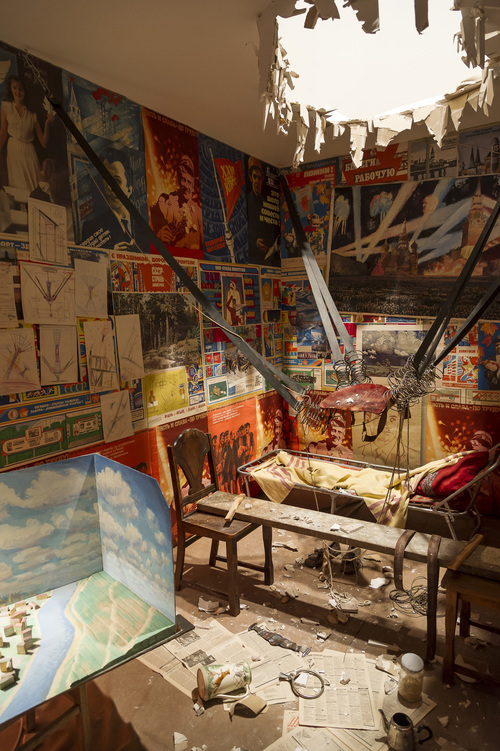 There are hints that the person who is made this is aware of contemporary installation art and its aesthetics and is attempting their own version. 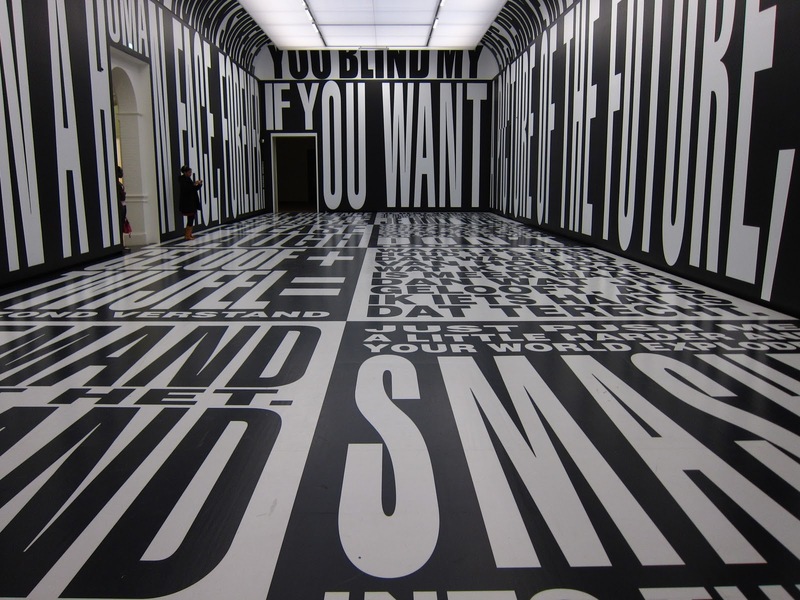 Compare pieces by Barbara Kruger, Ilya & Emilia Kabakov or particularly Dana Sederowsky. 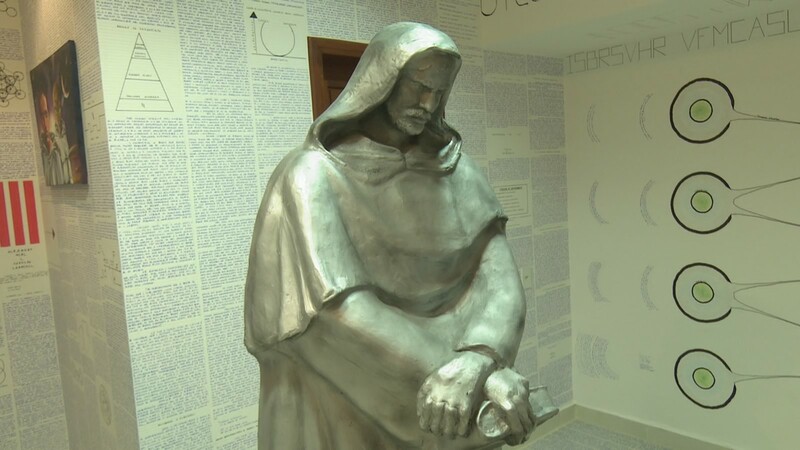 Giordano Bruno was a mystic, a hermeticist and a gnostic. Gnosticism and hermeticism are loose ancestors of new age thought, and have a stronger influence in certain fringes. Both gnosticism and hermeticism involve the idea of the soul escaping the material world, which is seen as base matter, and in gnostic conceptions as a false reality created by a flawed ‘god’ called the demiurge. Hermeticism is essentially the spiritual side of alchemy, and deals with the souls perfection through philosophical enquiry, among other things. Jorge Luis Borges wrote a number of works that might be relevant to this sort of project. The most obvious (and perhaps Borges best known and most influential work) is The Library of Babel, which describes an unimaginably vast, yet finite library whose books contain all possible arrangements of letters; thus, almost all the books are total gibberish, yet the library also contains “the minutely detailed history of the future, the archangels’ autobiographies, the faithful catalogues of the Library, thousands and thousands of false catalogues, the demonstration of the fallacy of those catalogues, the demonstration of the fallacy of the true catalogue, the Gnostic gospel of Basilides, the commentary on that gospel, the commentary on the commentary on that gospel, the true story of your death, the translation of every book in all languages, the interpolations of every book in all books.” an idea with fairly deep philosophical implications which has been discussed at great lengths, but which might give some suggestion as to the coded, numbered books. 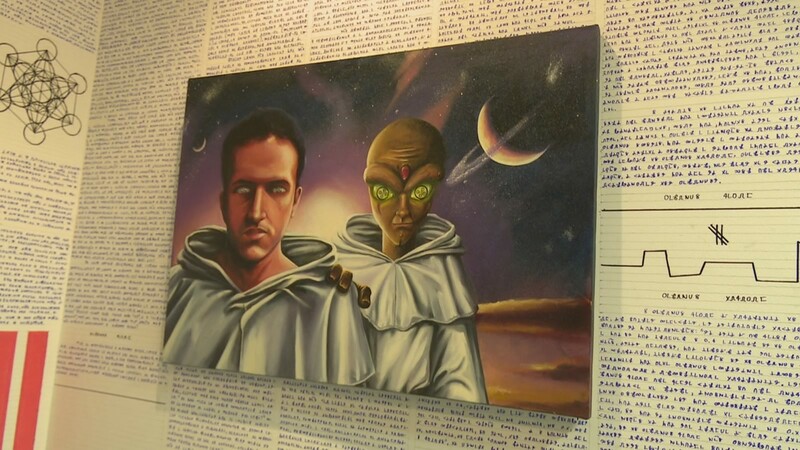 Also notable is Tlön, Uqbar, Orbis Tertius, which involves a mystical (indeed, hermetic) secret society who, invent a secondary world called Tlön and via literary forgery and other means begin the process of transforming our world into Tlön. So, some interesting stuff going on here perhaps, and a very strong smacking of something deliberate. More can’t be said without much more detailed photographs and scans. 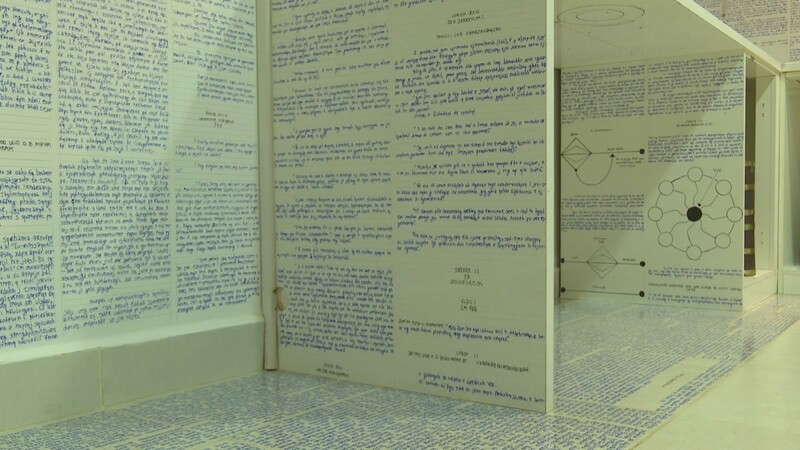 Cryptanalysis would require first digitising the text, which some enterprising soul may already be doing. 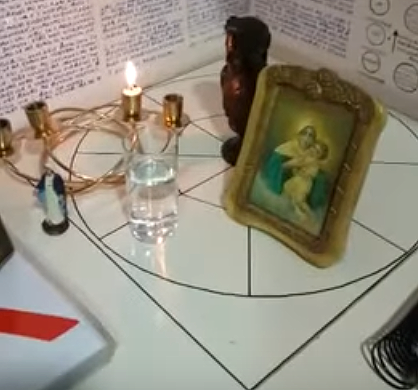 Watching the video, it would be really good to have some more photos of the rooms, and especially good photos of the bookcase. Given how much else appears to have been cleared out I imagine the books left have been chosen for some particular reason.